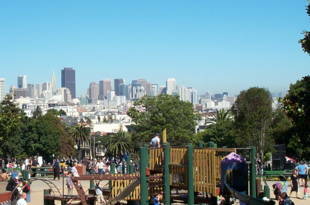 Mission Dolores Park is one of the most popular parks in San Francisco with a local Mission District feeling. 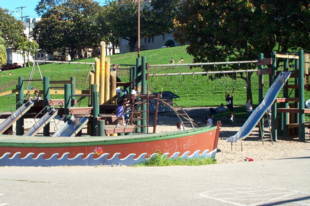 There are so many things to do at Dolores: take your kids to the playground that has great climbing structures and sand area. If you like sports, this park houses 6 tennis courts, 2 basketball courts, and a open field. There are great big hills in this park that are perfect to roll down. Dog owners frequent this park. General people watching is a very popular activity here, especially on the weekend. Bring a blanket and lay on the grass or use one of the picnic tables. Restrooms are available at the clubhouse. 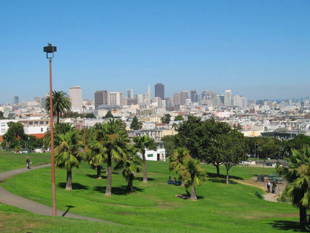 Dolores Park is owned by the San Francisco Recreation and Park Department. 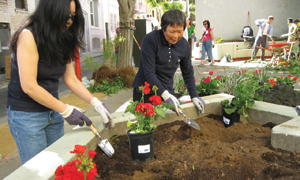 18th St. and Dolores St.